Aswan is the town visitors to Egypt remember most and rarely does anyone fail to enjoy its subtle delights. Although lacking much of the ancient splendor to be seen elsewhere, many of Aswan's monuments have been saved from the rising waters of the High Dam, itself a testament to modern man. Take a felucca ride and enjoy the nearby islands, in particular Kitchener Island, from where Lord Kitchener planned the Sudan campaign and later created a fine botanical garden with many rare species of plants and shrubs. Afterwards, head for the terrace bar at the Old Cataract and enjoy a slow gin and tonic whilst the sun slips down behind the far horizon and a refreshing breeze wafts the evening air. Temple of Isis, Philae - built during the Ptolemaic period, this romantic temple is situated on an island between the Old and New Aswan dams and is reached by a short motor boat ride. Dedicated to the goddess Isis, a great part of the temple still remains and contains many interesting reliefs. 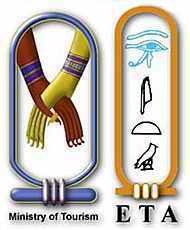 Min Travel is certified as a member of the AETBI (Association of Egyptian Travel Companies on the Internet) in good standing. The AETBI is an association developed by Tour Egypt, the official web site of the Ministry of Tourism of Egypt and the Egyptian Tourist Authority. Members of the AETBI are closely monitored for their reputable performance, respectability and dependability in providing travel related services to the country of Egypt. Min Travel has been authorized to display the AETBI logo, meeting all AETBI standards.